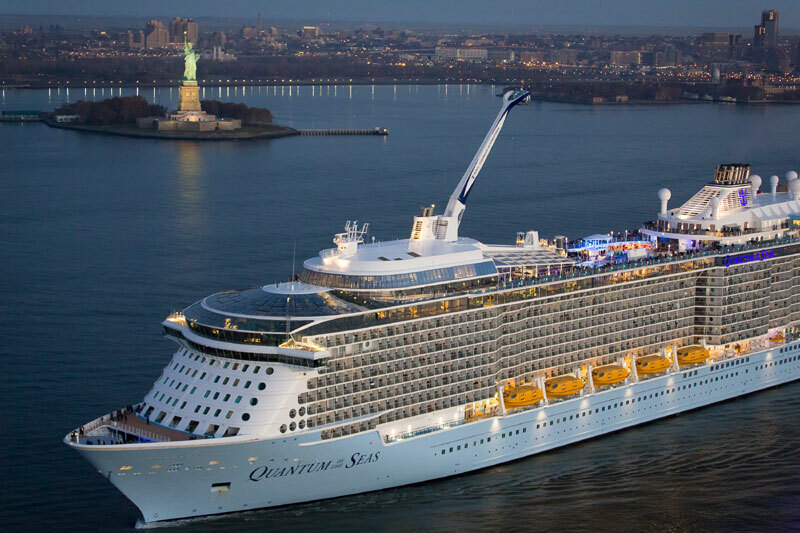 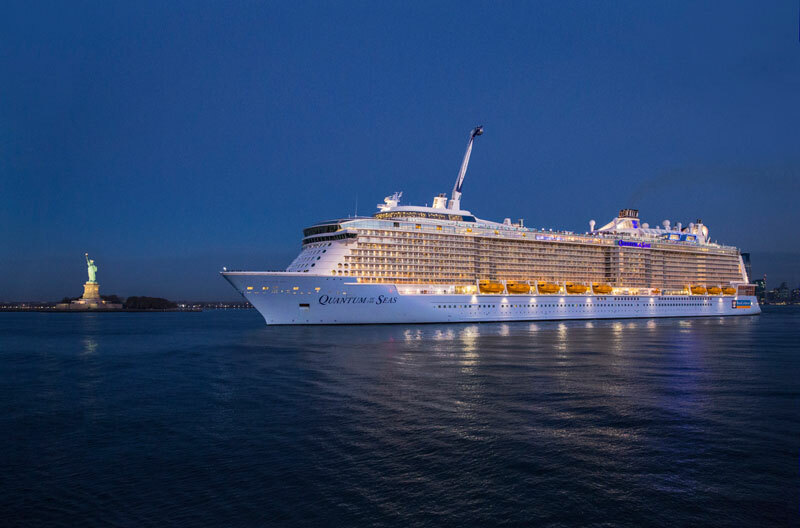 Royal Caribbean have released some spectacular photos of the cruise lines newest and smartest cruise ship, Quantum of the Seas. 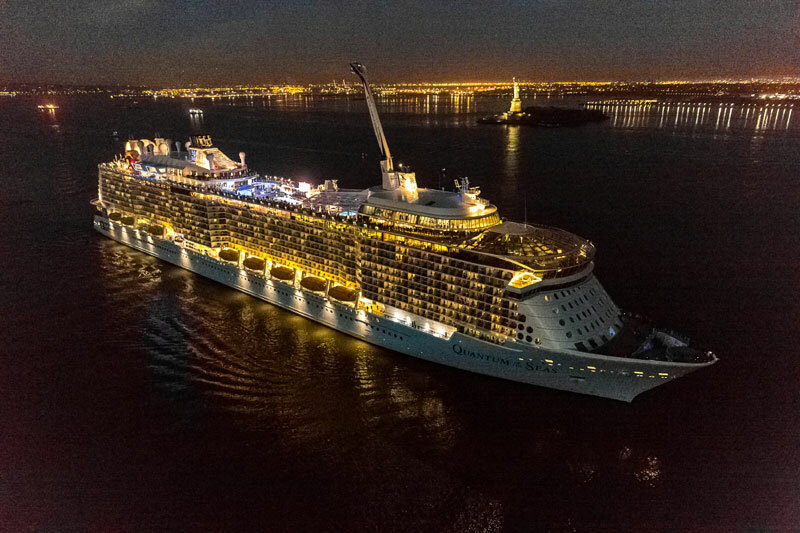 The large ship just recently arrived into New York harbor on November 10th for the very first time to begin its inaugural season sailing out of New Jersey. 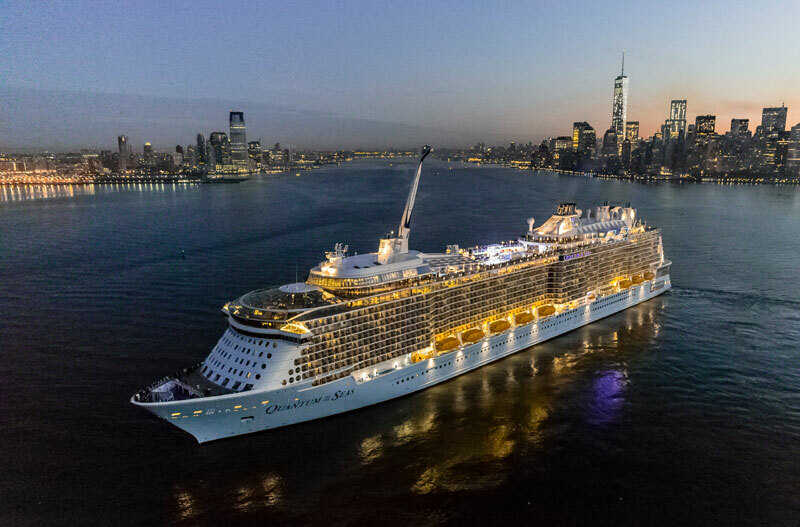 With the new class cruise ships innovative features including the North Star that rises above the vessel there was much hype around its arrival. 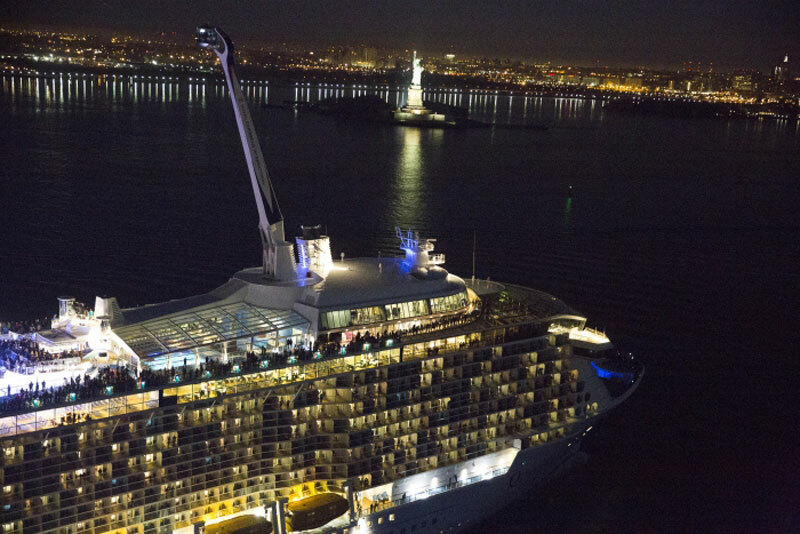 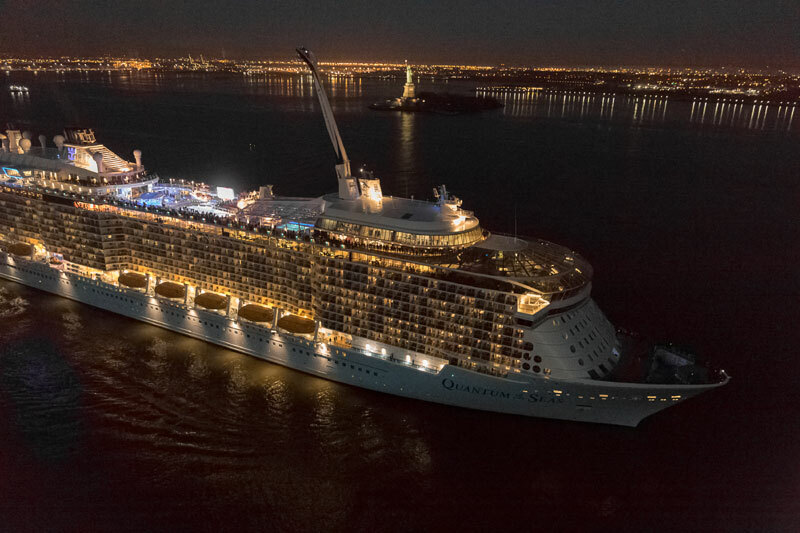 Now Quantum of the Seas has arrived the cruise line has released some amazing photos from day and night and as you can see the ship is all lit up with the famous city among its surroundings. 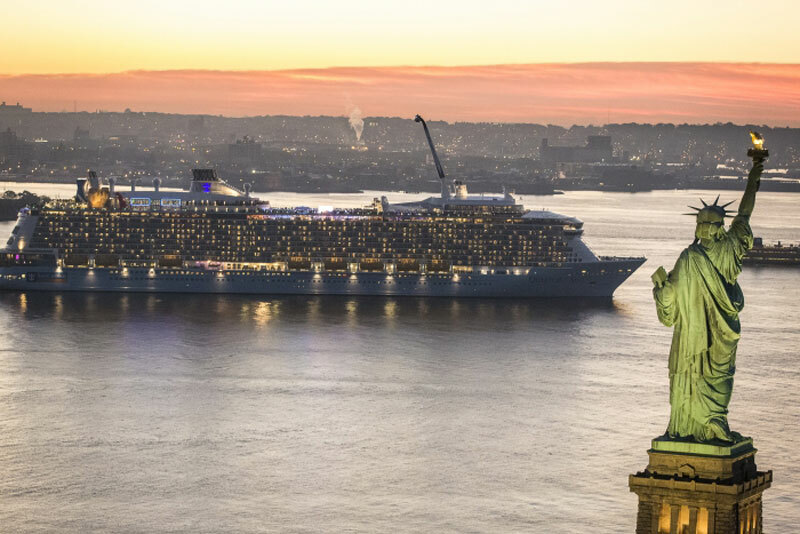 You can read more about the 168,700 ton ship’s arrival at New York in our previous report. 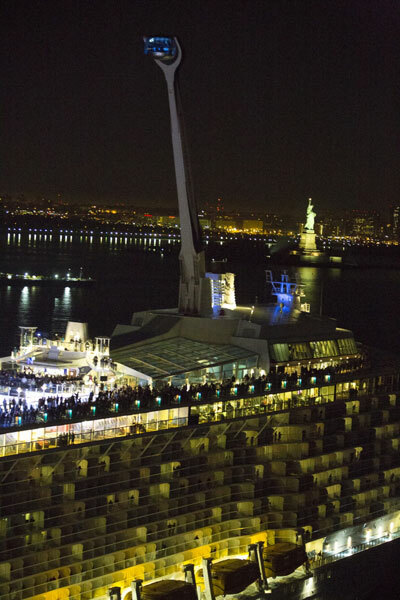 The nest step for what is one of the highlight of the 2015 cruise industry is the Christening on November 14th. 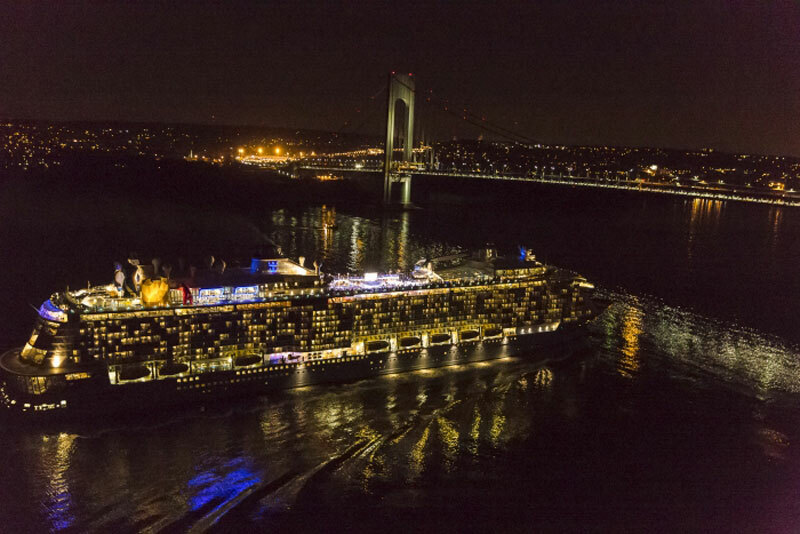 It will be hosted by Kristen Chenoweth at the brand new cruise terminal at the Cape Liberty Cruise Port in Bayonne. 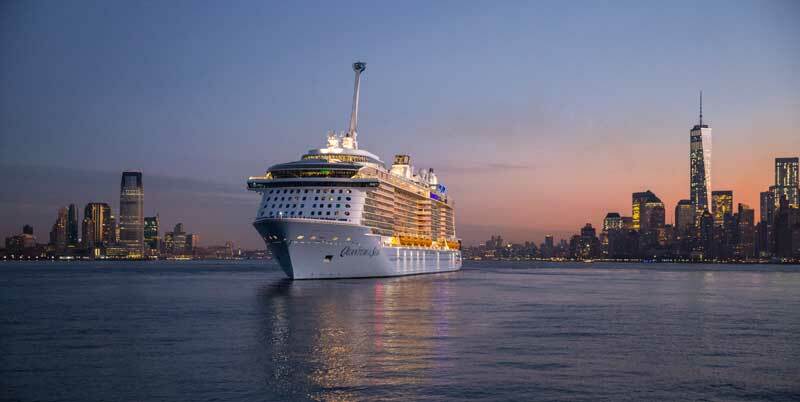 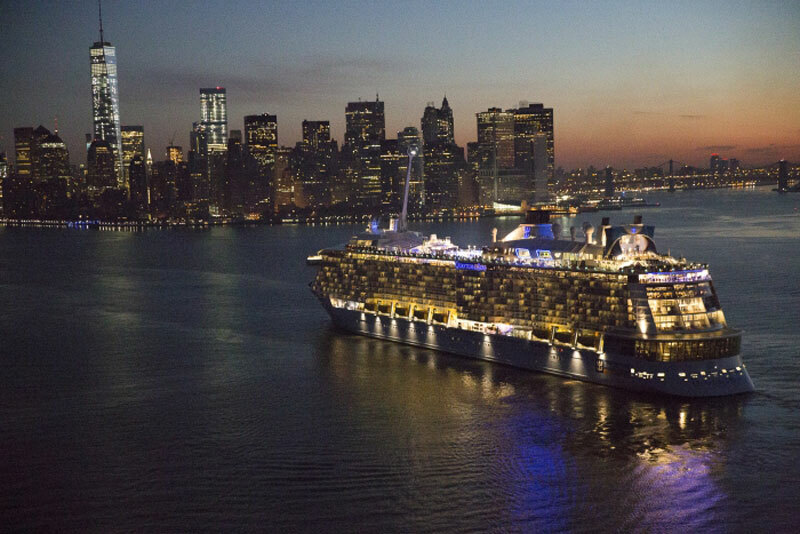 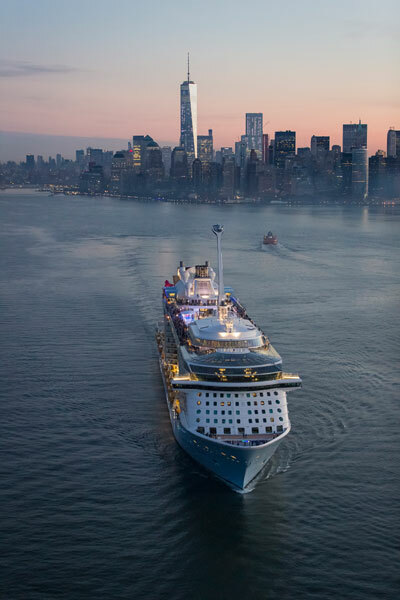 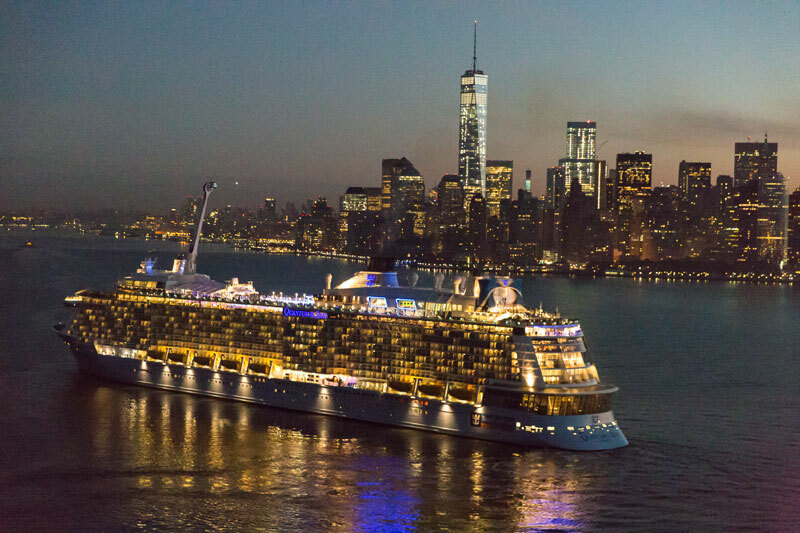 Let us know what you think of the new photos by Royal Caribbean in the comments below and how good does the ship look at night?